Rediff readers shared these beautiful images from their travels across India. You can share your #IndiaPhotos here! 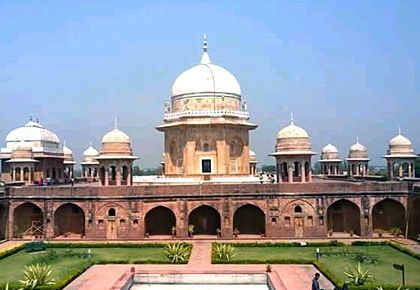 IMAGE: Bikramjit Roy found Sheik Chilli's Tomb in Kurukshetra, Haryana to be a splendid building. IMAGE: Bikramjit also visited Shaeed Minar in Kolkata. 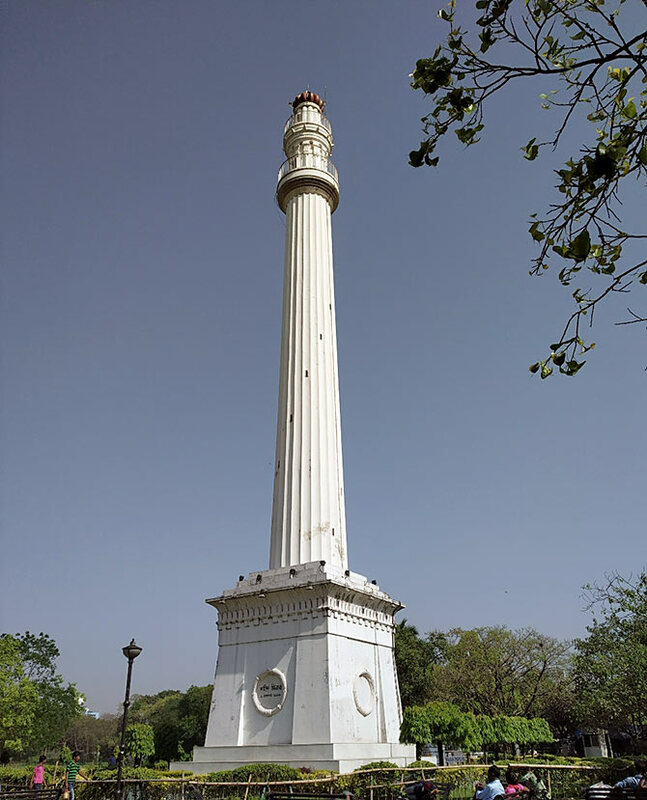 It was called Ochterlony Monument during British Raj he informs. 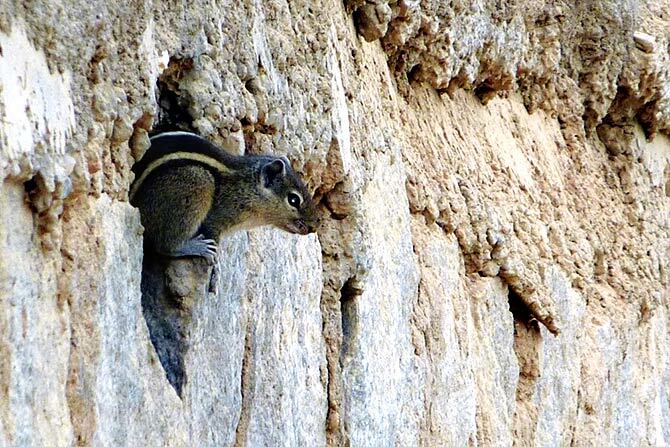 IMAGE: Palanki Narayana snapped a chipmunk peeping out of a compound wall. IMAGE: This is how Debmalya Mazumder wound up his day in Kolkata. 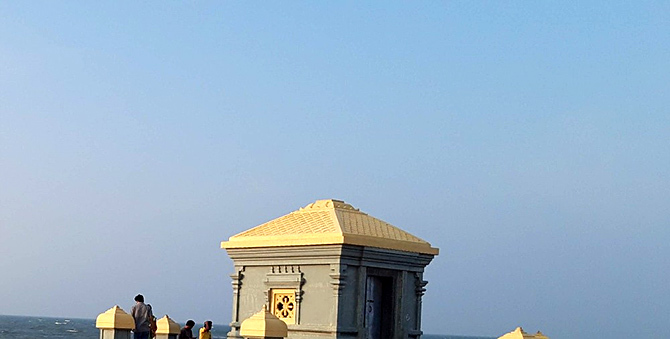 IMAGE: Manoj KN captured this view from Dhanushkodi. 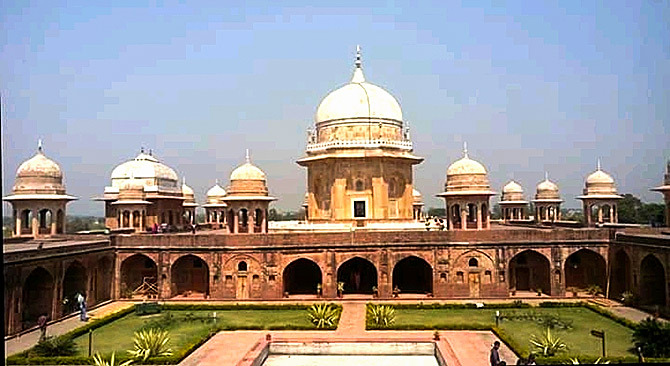 Simply upload your #India-Photos on ZaraBol along with a short description of the place and we will publish them right here on Rediff.com! You may also write to getahead@rediff.co.in (subject: Travel pix) and share your stories with us. 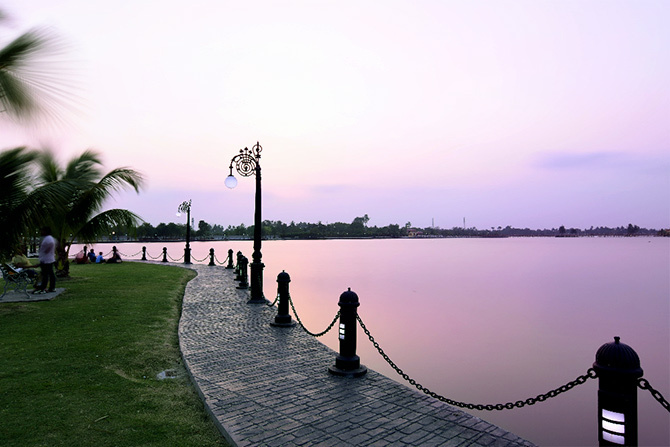 Click here to see all India-Photos published on Rediff.com.